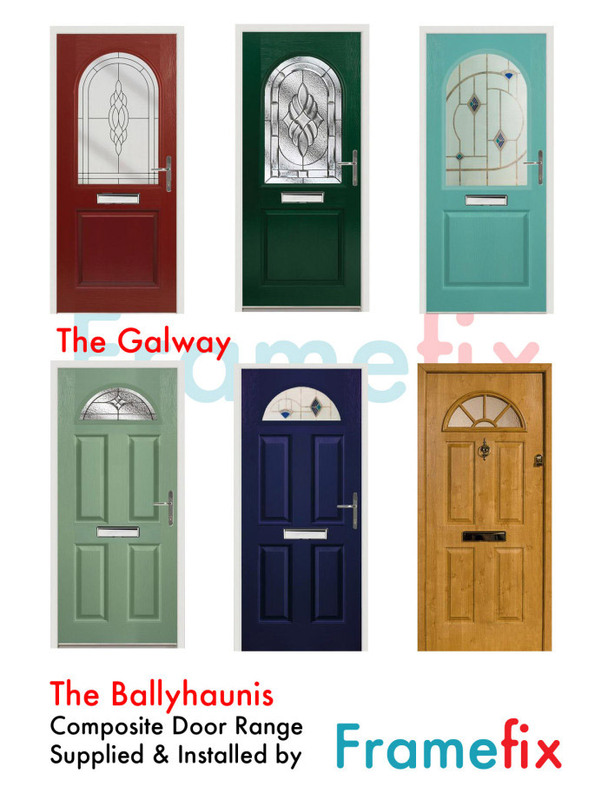 Whether its a simple UPVC door or a solid composite door, we have a wide range of doors to suit your requirements in an array of styles and colours. 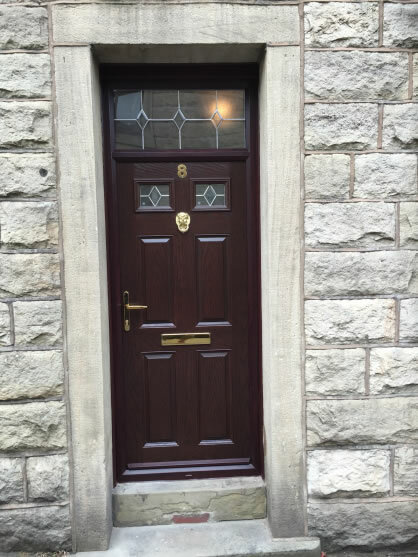 We operate across the North West, in areas such as Rossendale, Blackburn, Darwen, Accrington, Greater Manchester including Bury, Bolton, Rochdale, Oldham and Ashton. 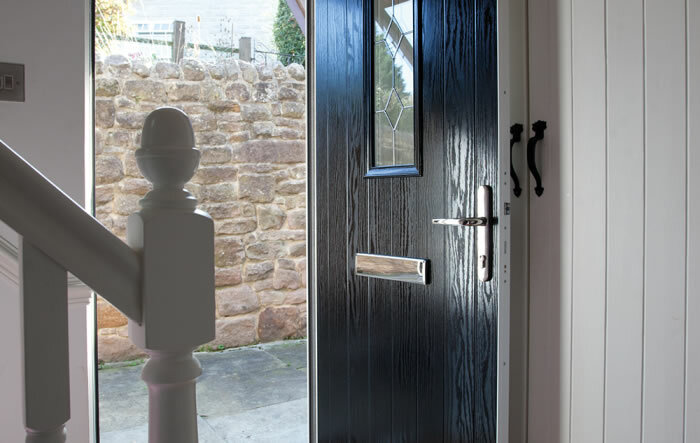 From traditional design to more modern contemporary design, we can make suggestions which will add significant improvements to your property, its value and your security. 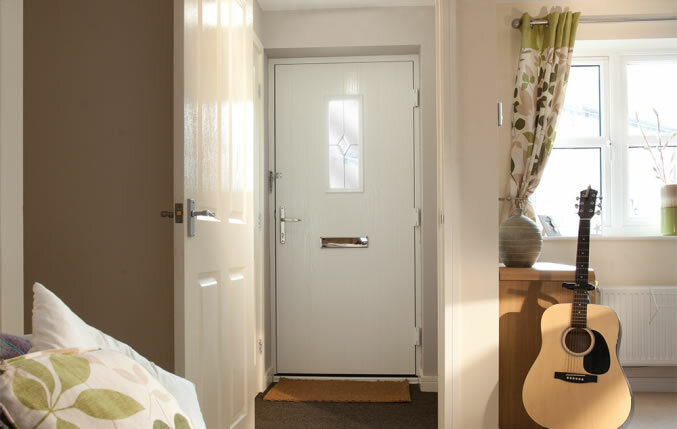 Of course looks aren’t everything and so we pride ourselves on only using the highest security products and locks. 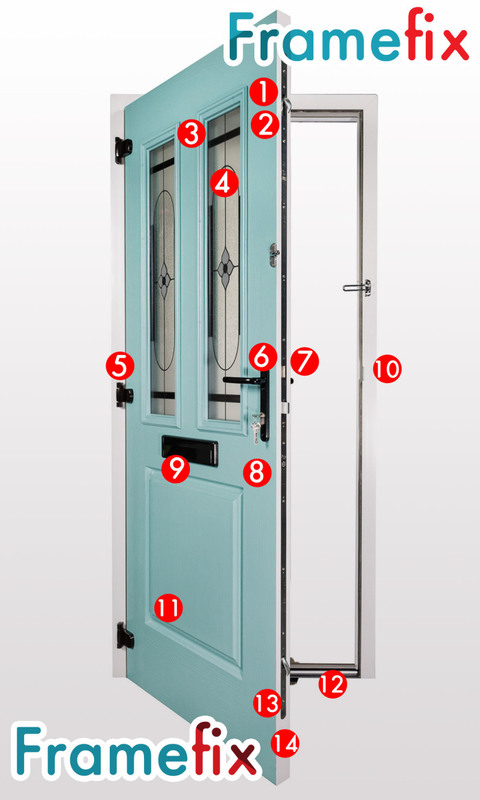 All our doors are steel reinforced, opting for solid doors instead of ‘foam-filled’ doors where required. 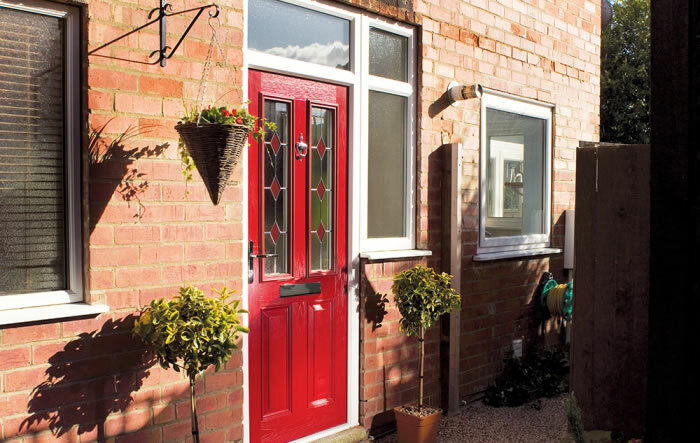 Our surveyor will gladly discuss with you the best options suited to your property type and your budget. 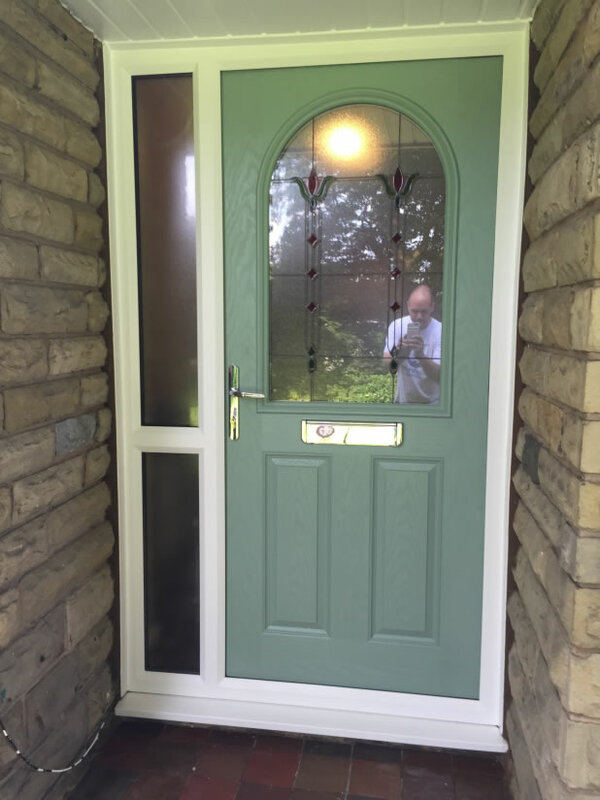 If you want to see how one of our composite doors looks on your property, simply take a photo of your existing door and download the app from here. 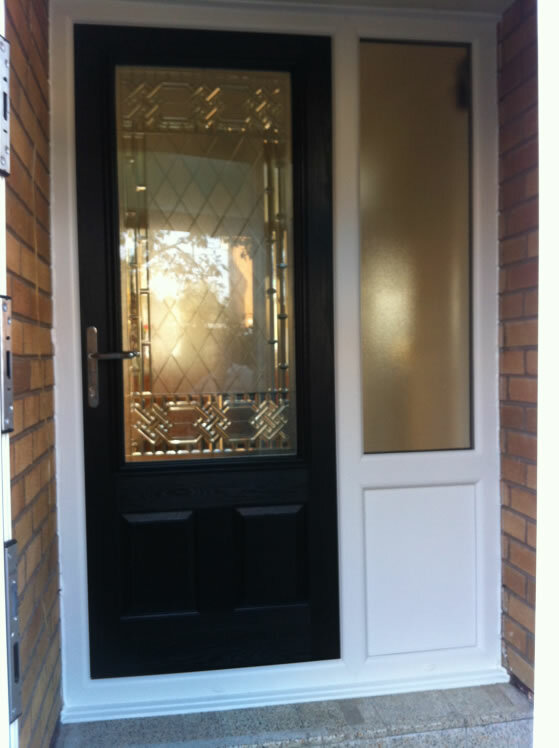 For an instant quote online, please complete the contact form here. 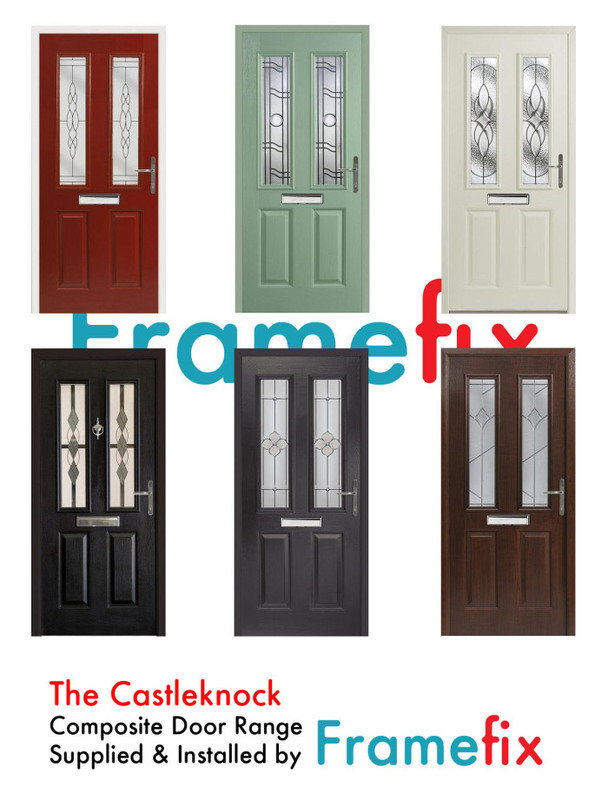 Alternatively, call our office on 01706 230421 for advice or prices. 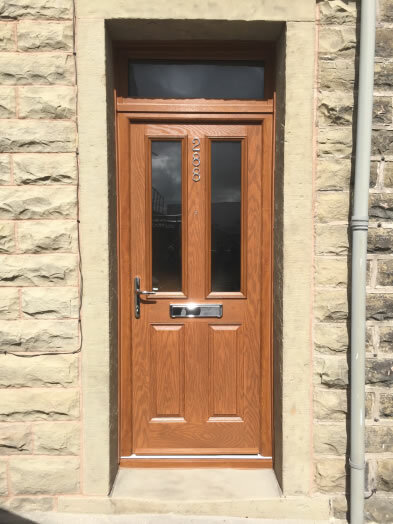 48mm thick cross laminated LVL timber framed door leaf offers lateral strength and stability compared with most composite doors. 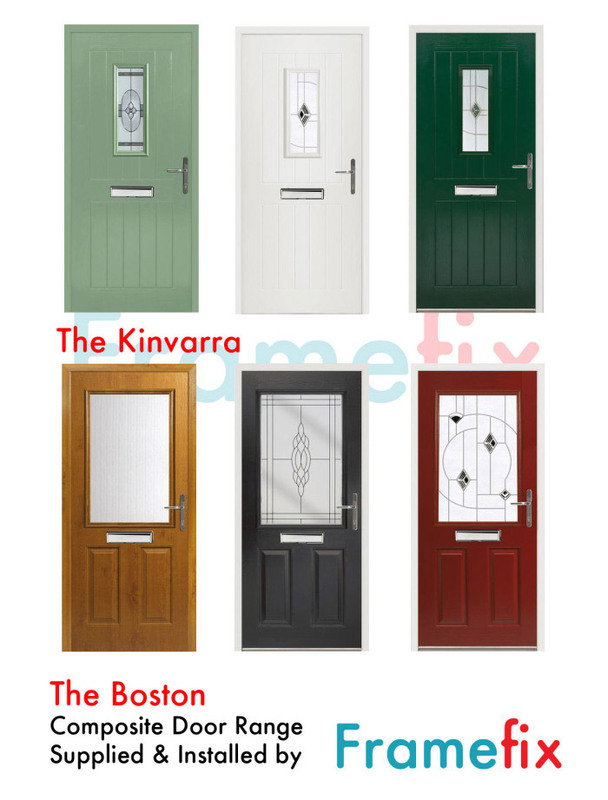 Tough, through colour thermoplastic door skins require no painting or varnish. 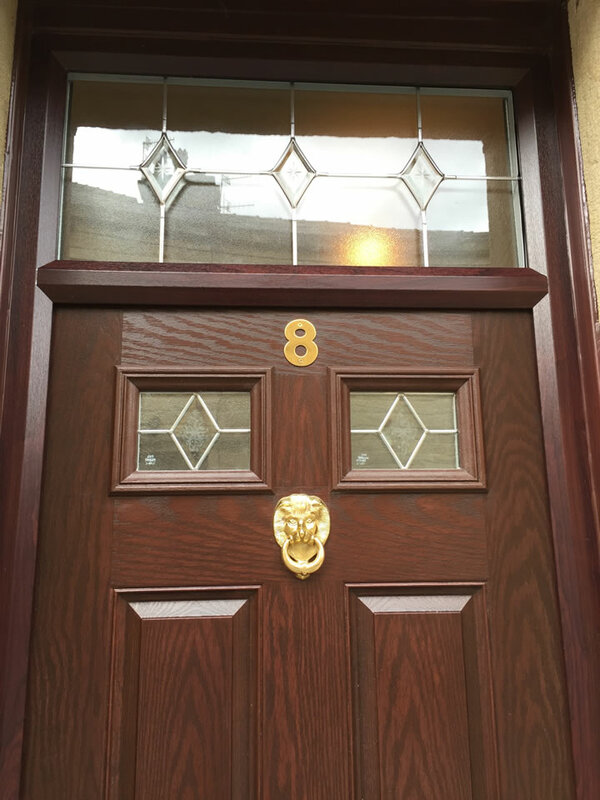 Double & triple glazed units manufactured to BSEN1279. Cassette glazing system independently security tested. 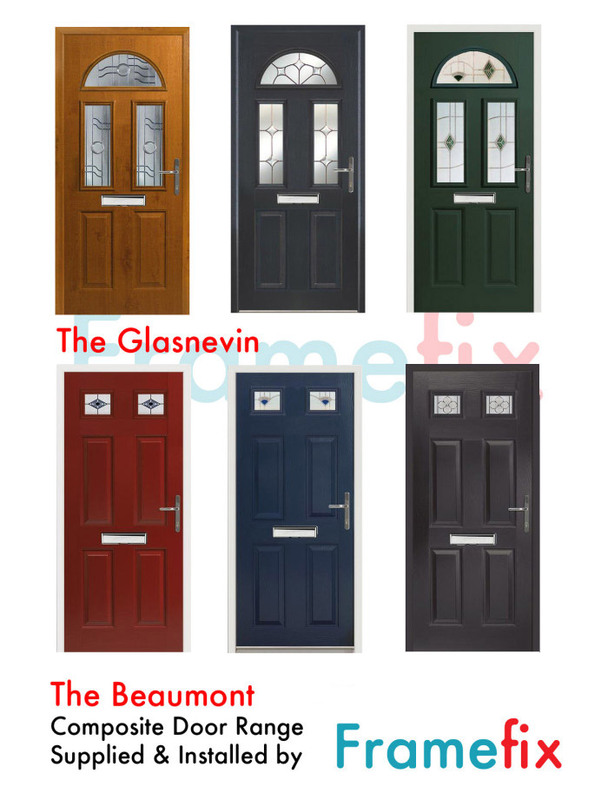 3 door hinges designed to meet the requirements of PAS 24:2012. 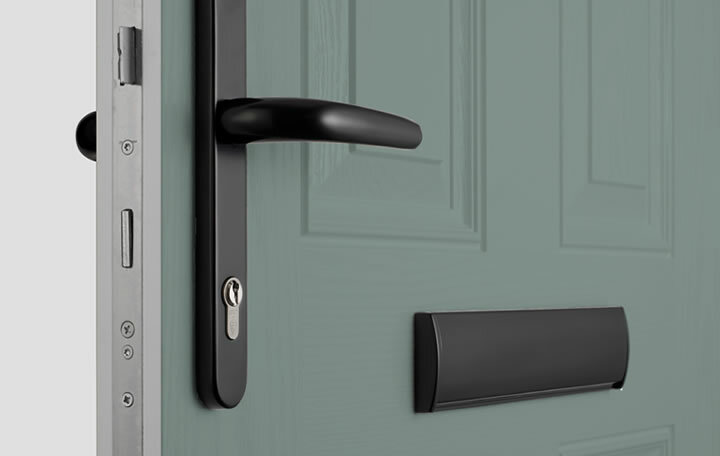 Door handles are salt spray tested to 480 hours BS EN 1670: Class 5, tested to 200,000 cycles and achieves PAS24 security test as part of a complete door set. 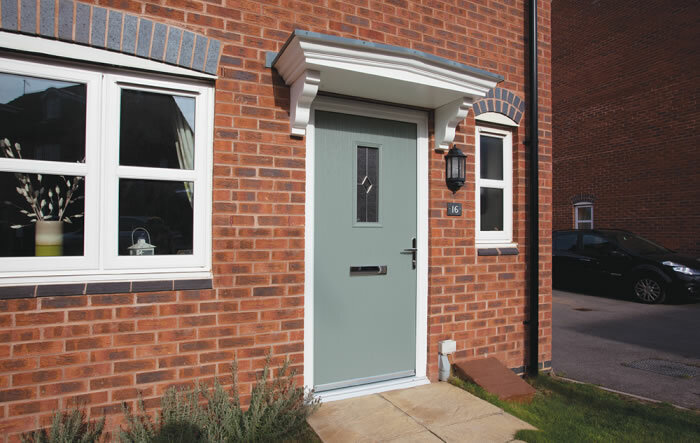 High security Yale multi-point locking systems that are tested to the Secured by Design specified PAS 24 security standard. Nickel plated steel hooks and dead bolt. Standard six pin euro cylinder which is anti-pick, drill, bump and has a sacrificial cut with optional upgrade. 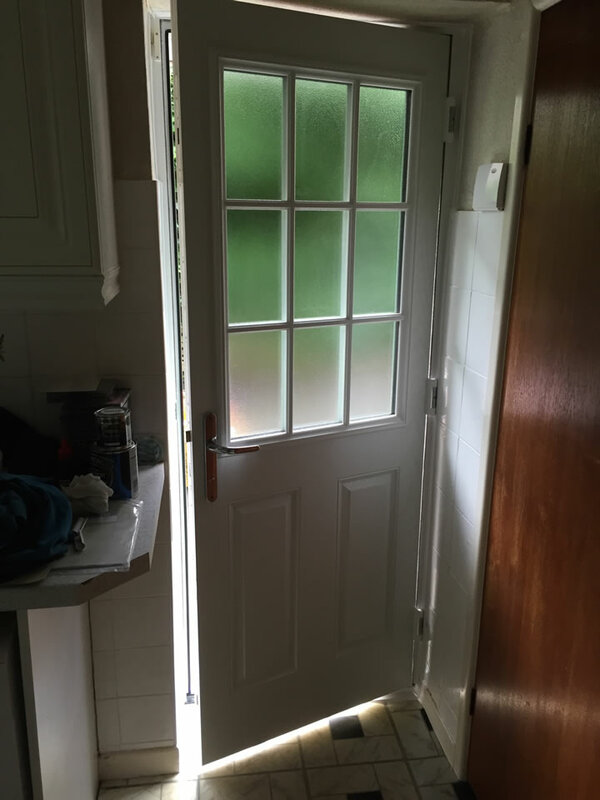 Letter plate conforms to the European standard EN 13724:2002, with secure through fixing ensures that they can only be removed from the inside of the house. Salt spray tested to 480 hours BS EN 1670: Class 5. Flap cycle tested to 20,000 cycles. 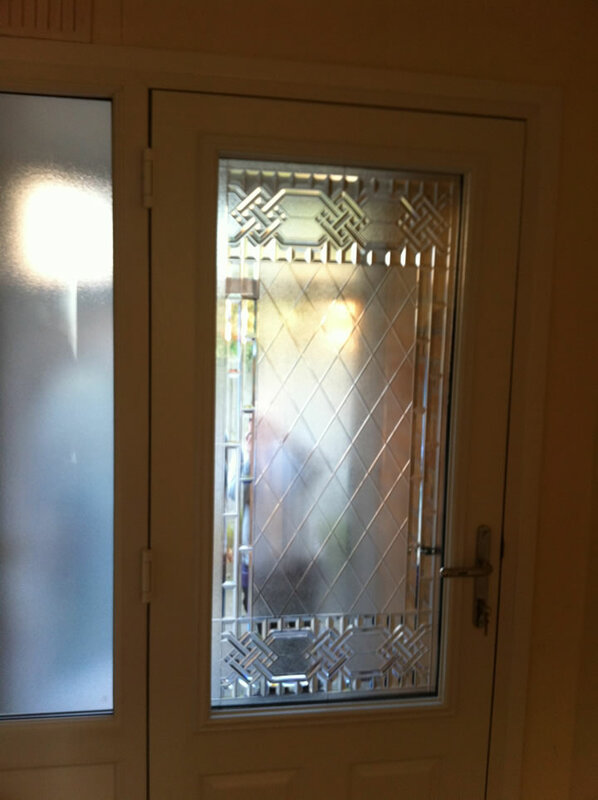 Heavy duty steel keeps help prevent the forcing apart of the door and frame. 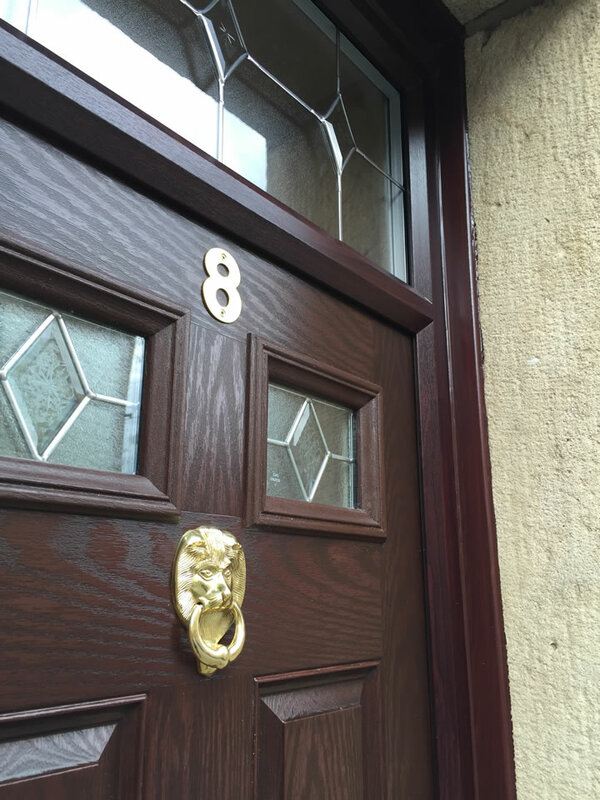 Detailed embossed wood grain texture door skins, traditional look with modern technology. 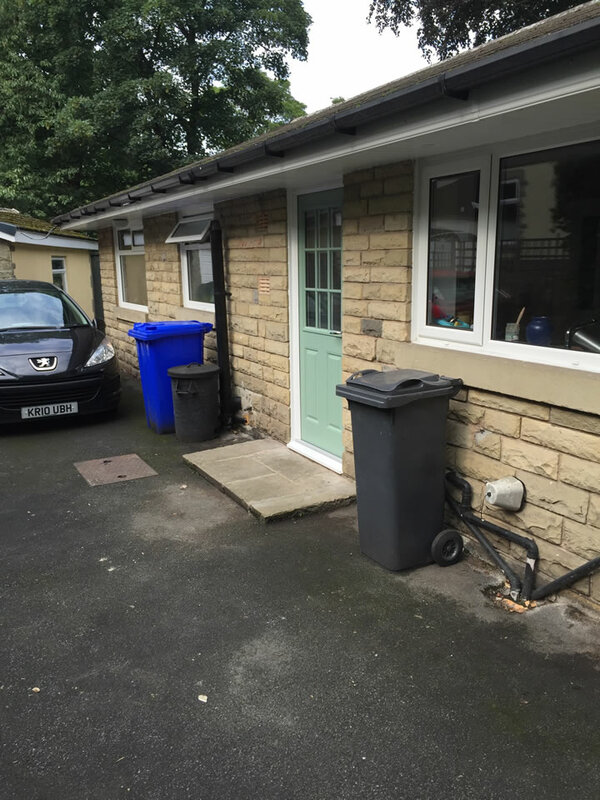 Optional low aluminium threshold for ease of access for wheelchairs and prams, Part M compliant with Building Regulations. 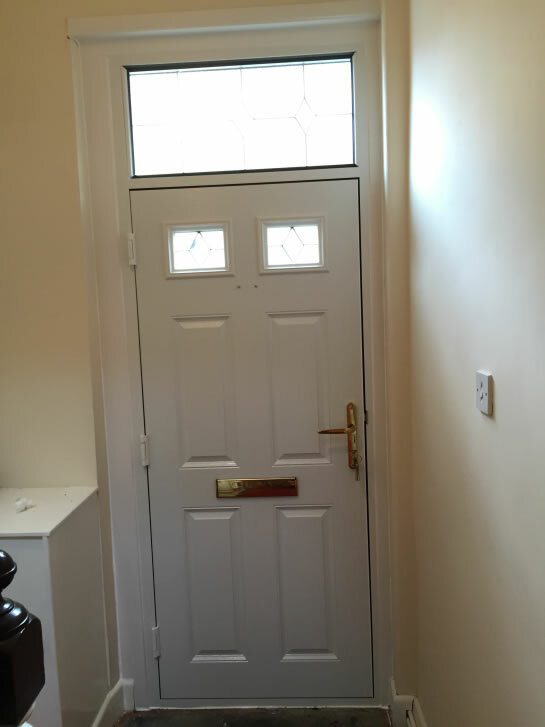 A fully sealed door leaf with PVC edge band detail. 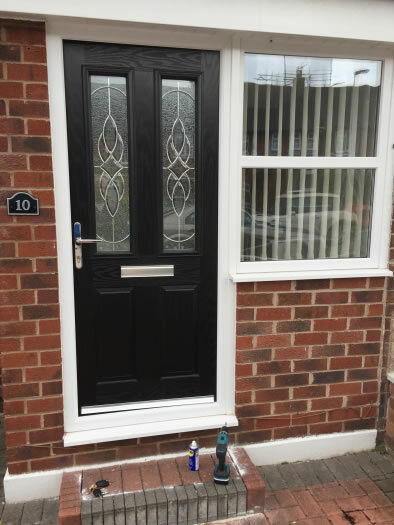 Black composite door with white outer with side frame, Bury. 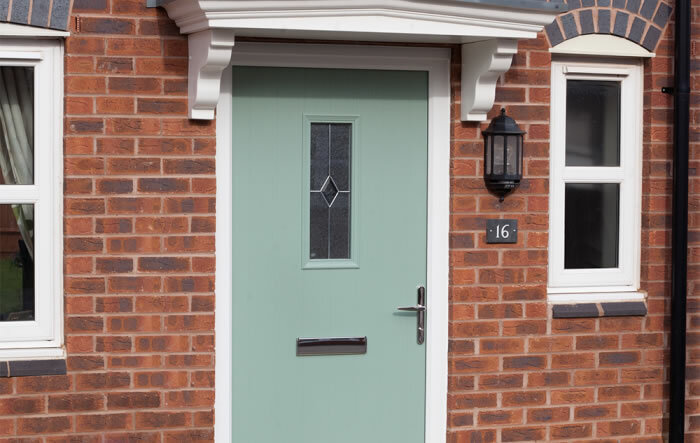 Chartwell green front entrance with side frame. 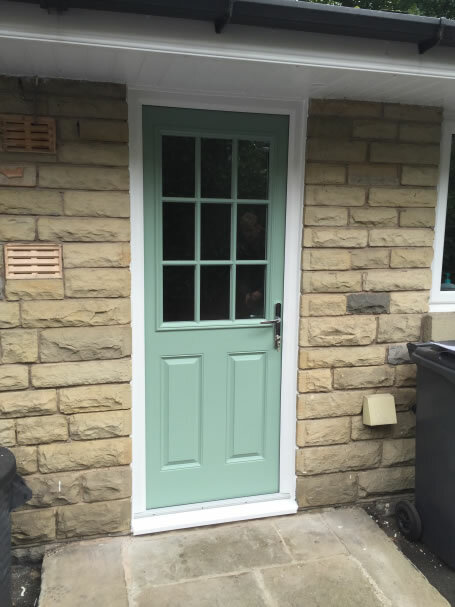 Chartwell green cottage style door with white outer frame, Rossendale. 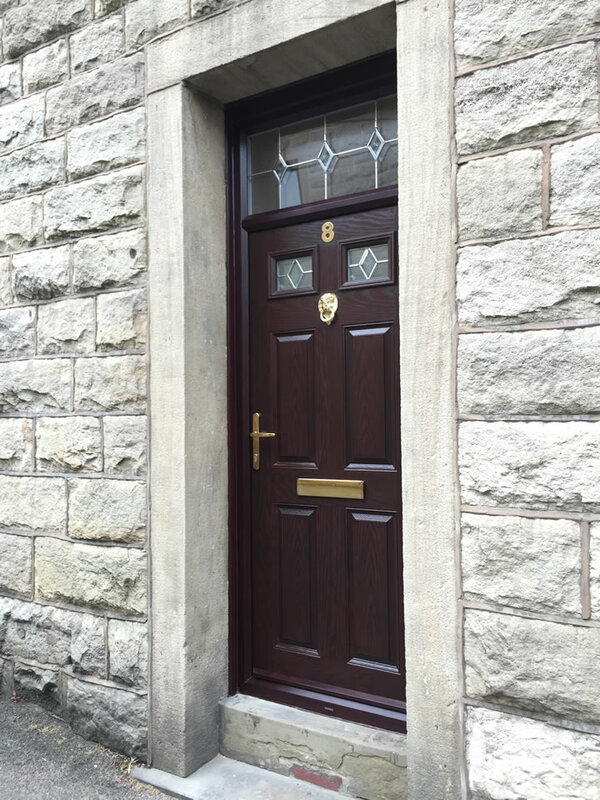 Dark wood composite door with rosewood frame and brass furniture, Ramsbottom. Copyright © 2019 Call us today. Powered by WordPress. Theme: Spacious by ThemeGrill.